We are pleased that you have taken time to view our turbine flow metering products used in the Power Generation market. Your interest drives us to provide the best solutions to meet the challenges associated with the various flow applications found in power generation. Hoffer turbine flow meters offer the most accurate, most reliable performance for your power applications… Performance that is unsurpassed by any other type of flow technology. 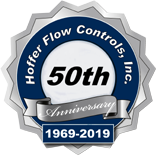 Hoffer flow meters can address all of your flow measuring and monitoring needs whether it is for liquid fuel, natural gas, or demineralized water for NOx control for your large or small power frames. 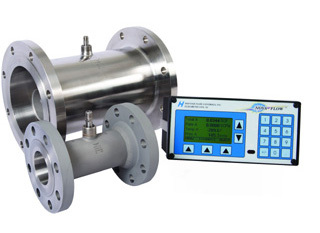 The Hoffer Premier Gas Series meters provide custody transfer grade performance in flow applications including fuel consumption, balance of plant calculations and general fiscal measurement. Many companies in the power industry have standardized on the Hoffer Turbine flow meter for their flow applications because of extensive third party approvals available on our flow products. Our Premier Series of custody transfer gas meters continue to set the standard for high performance measurement. Our gas turbine flow meters and flow computers have been selected by many domestic power utilities as the meter of choice for their natural gas flow applications. 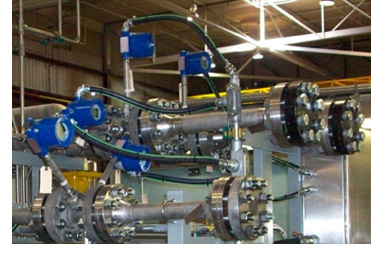 Hoffer supplies complete flow systems to these customers that include meters, meter runs (upstream and downstream) piping and flow straightening sections compliant with AGA 3) and flow computers that are AGA 7 and 8 compliant. In addition to meeting these American Gas Association standards our systems are used to verify compliance with the continuous emission monitoring rule “Appendix D of CFR (Code of Federal Regulations) 40. Our experience in international sales in power generation includes working with multi-national engineering and construction firms to supply flow meters for various applications for new gas turbine power plant projects in the United Kingdom, the Philippines, the Middle East region and Brazil. Included in these orders were Hoffer “Premier” natural gas turbine flow meters, similar to the one pictured above, in line sizes 6″, 8″, 10″” and 12″. These meters were supplied for critical fiscal and mass-energy balance accounting purposes to precise specifications and tolerances.